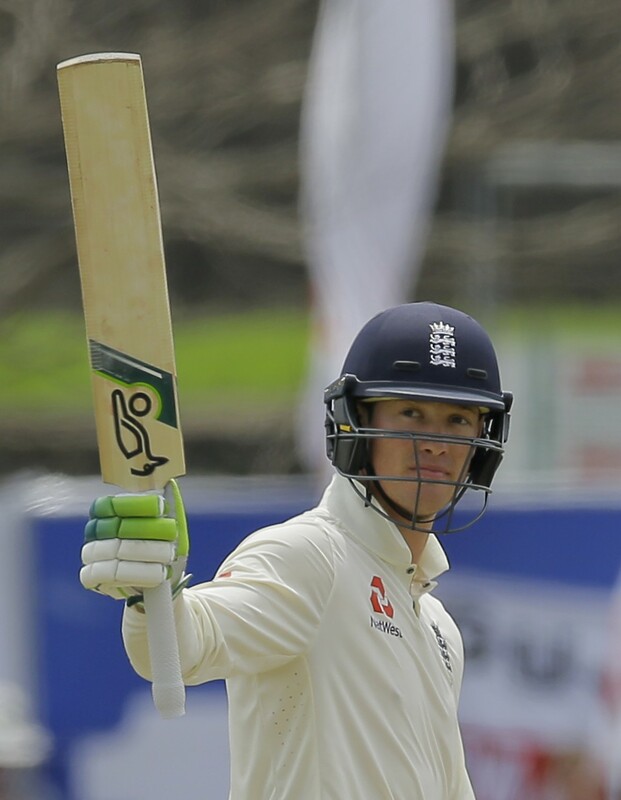 GALLE, Sri Lanka (AP) — Keaton Jennings got a reprieve just before lunch as he helped England extend its lead to 250 runs on day three of the series-opening test against Sri Lanka. Jennings was unbeaten on 60 at the interval and Ben Stokes was on 14 as England reached 111 for three in second innings at Galle. But he survived a close call on 58 when Sri Lanka appealed for an lbw decision off the bowling of part-timer Dhananjaya de Silva. Umpire Chris Gaffaney turned down the appeal, but television replays indicated Sri Lanka would have got the decision overturned had they reviewed. It was a blemish on the morning session for the Sri Lankans, who rallied with three wickets after England resumed at 38 without loss. Roy Burns was run out for 23 attempting a quick single to mid-on when Dimuth Karunaratne's direct hit found the England batsman just short of the crease at the non-striker's end. Moeen Ali, who was dismissed for a first-ball duck in the first innings, departed for three when he drove one straight to Rangana Herath at mid-on off the bowling of Dilruwan Perera. 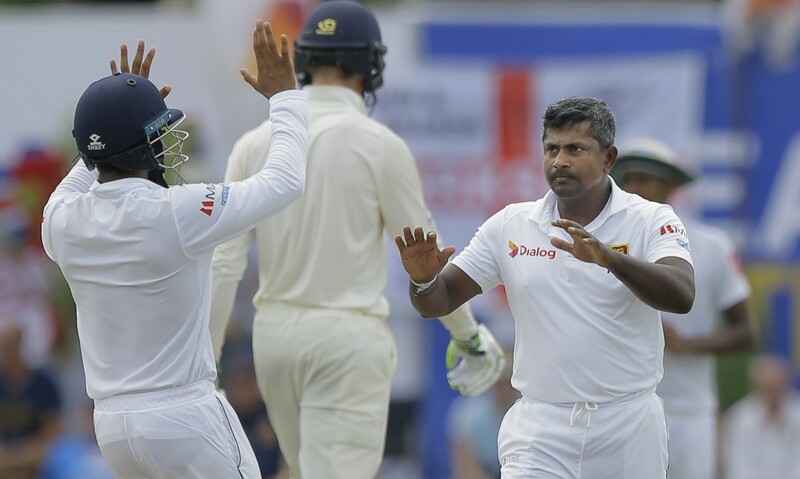 Herath, playing his farewell game, then had captain Joe Root (3) caught behind by wicketkeeper Niroshan Dickwella in a period when England lost three wickets for 14 to slip to 74-3. 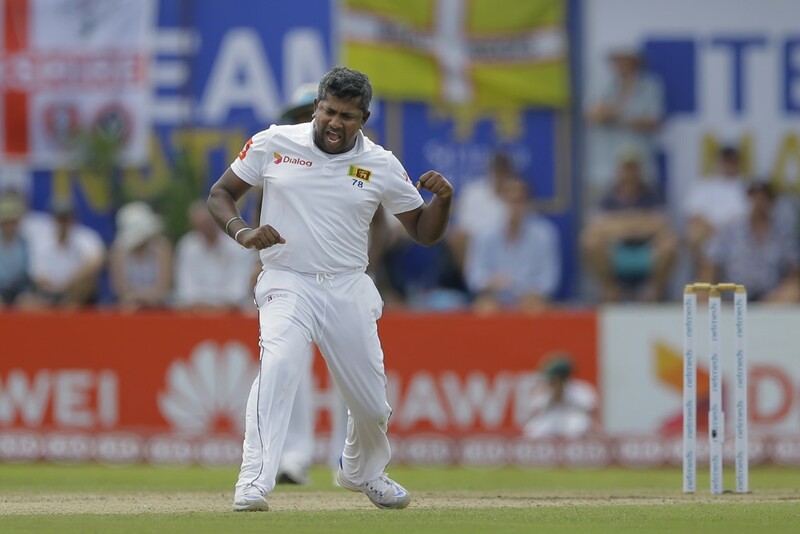 With that dismissal Herath went past New Zealand great Richard Hadlee's career tally of 431 wickets and moved into ninth spot on the all-time list of test match bowlers. 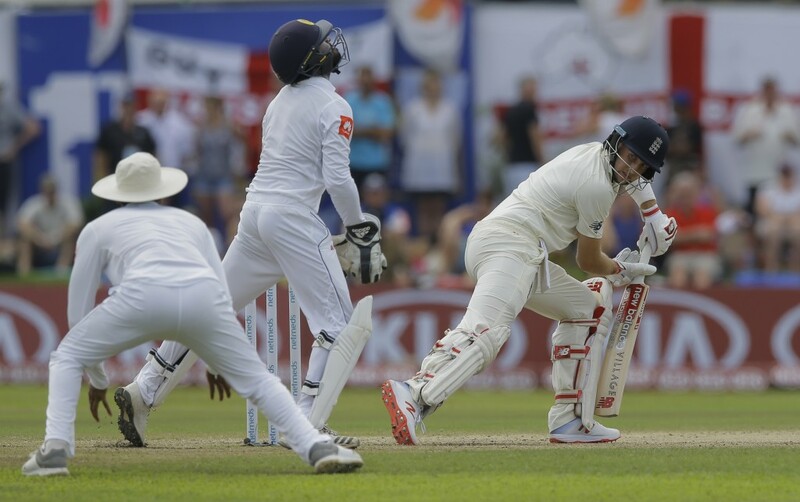 England took a first innings lead of 139 runs after bowling out Sri Lanka for 203 in the first innings, setting up a chance to open the three-test series with a victory and secure its first test match win at Galle.